In case you'd forgotten that Netflix is increasing its prices next month, the streaming company has your back. According to BGR, Netflix has begun sending out emails to existing customers, reminding them that subscription prices will be going up as of May 3. The cheapest Netflix plan in the US is now $9 (up from $8), while its HD Standard plan (the most popular) will cost $13, up from $11. The 4K Premium plan is also going up in price, to $16 from $14. We've known about this price change since Netflix announced it in January, and new customers have been paying the new fees for the last three months – however, the streaming service had given existing customers a three-month grace period, which is why it's reminding subscribers now. So why has Netflix upped its prices? One reason is its continued investment in original programming, something that has so far proved extremely lucrative for the company, with successes like Orange Is The New Black, The Crown, and Bojack Horseman under its belt. 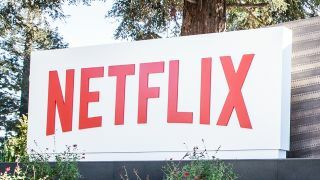 Another reason for the price hike is the increased competition Netflix is going to face in 2019, after Apple announced its new streaming service, Apple TV Plus. Disney is set to do the same with its flagship streaming service Disney+ expected to launch later this year. Even with this increased competition, Netflix could lose a few subscribers as a result of the price increase and still comfortably remain in the top spot; after all, with over 130 million subscribers, it has a lot to gain from adding an extra $2 to its US users' bills.